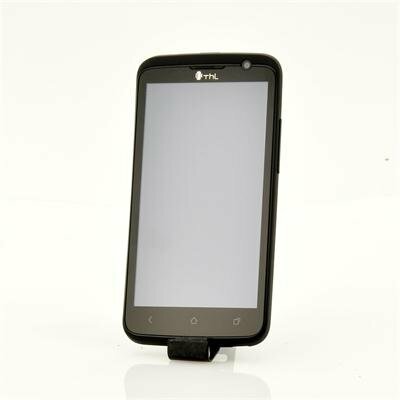 Successfully Added Android 4.1 HD Phone "ThL W5" - 4.7 Inch IPS HD Screen, 320 PPI, 1GHz Dual Core CPU (Black) to your Shopping Cart. Android 4.1 phone featuring a 4.7 Inch 320DPI 720p Super HD screen, fast 1GHz dual core CPU, and 1GB RAM is one of the most conveniently sized and high spec mobiles on the market. With more than 10 years of experience manufacturing Android Phones, ThL has managed to establish a broad customer base in both Europe and America. The stunning 1280x720 super HD resolution of the “ThL W5” large 4.7 inch screen, combined with a pixel density of 320PPI, enables you to watch high definition movies like they were meant to be viewed and as one of the best screens available it easily outdoes famous branded phones. The 1280x720 resolution is crystal clear and will make viewing videos, surfing the internet and reading eBooks an absolute delight. Running Android 4.1 Jelly Bean, the “ThL W5” has one of Android’s most advanced operating systems. Not only is Android 4.1 fast, but it also gives you a high level of customization options and a big app store with more than 600,000 apps. 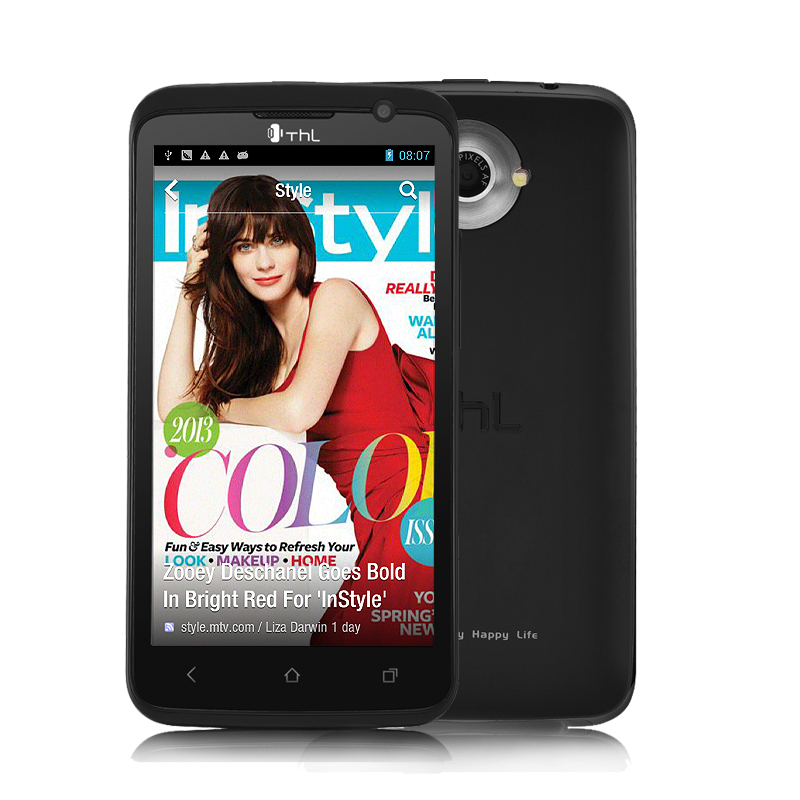 Install any app such as YouTube, Facebook, Angry Birds or Twitter and the “ThL W5” will run it with ease. Snap a picture with the 8MP camera, save it on the 4GB of internal memory or on a Micro SD card of up to 32GB and enjoy the great picture quality on the ISP (In-Plane Switching technology) screen. Also true photographers will love the high 2MP front facing camera, therefore not only do you get a quality photo from the rear camera but also an extremely high quality from the front cameras as well. This “ThL W5” also has the usual Bluetooth, 3G, 1GB RAM and a selection of languages in the settings for you to choose from. This Android 4.1 “ThL W5” mobile phone with an ideally sized 4.7 inch display is the perfect choice for anyone looking to upgrade their existing phone but not spend outrageous prices. This product is in stock and can be dispatched within 24 hours of ordering with a 12 month warranty. Brought to you by the leaders in wholesale electronics and Android mobile phones, Chinavasion.